Hip Hop For Change Warm Winter Clothing Drive - HipHopForChange Inc. | CommitChange | We help organizations raise more money, more sustainably. Start Your Own Campaign for HipHopForChange Inc. 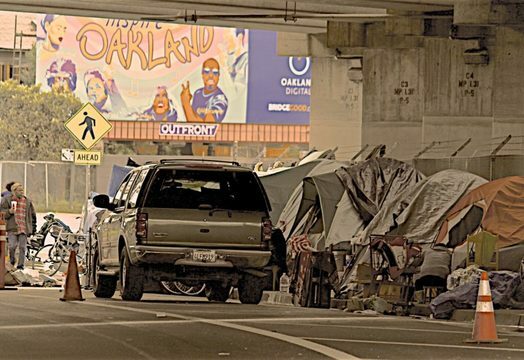 According to The East Oakland Collective, there are 3,000 homeless people in Oakland, and 70% are African American. The state is not required and doesn't bother to keep track of how many die on these streets, leaving our people to weather the elements alone and disregarded. We're not going to stand for this. Our community is our responsibility and we have to take the initiative to bring change. Hip Hop For Change in partnership with East Bay Community Space is organizing a clothing drive to make sure our neighbors in the struggle have a fighting chance. We're accepting new and lightly used clothing [i.e. scarves, jackets, socks, thermals, gloves, blankets, tarps, shoes, solar lanterns, beanies, bottled water, thermals, tents, feminine products, hygiene items]. Please bring your items to 5447 Telegraph Ave, Oakland 94609. Between the hours of 9 am and 5 pm.